No-Limit Hold'em is an extremely complex game that is difficult to learn and even more difficult to teach. Many authors have produced works on this topic which are either too simplistic or far too complex to be of any practical use. Hunter Cichy has a unique ability to present advanced concepts in a manner that any committed student can understand and implement. In this cutting-edge work, Hunter outlines a straightforward, no-nonsense approach to poker analysis. Hunter examines each of these topics in depth and explains how they interact. By combining optimal opening ranges with clear explanations of math and game theory, Hunter presents a powerful strategy that is easy to implement and difficult to exploit. 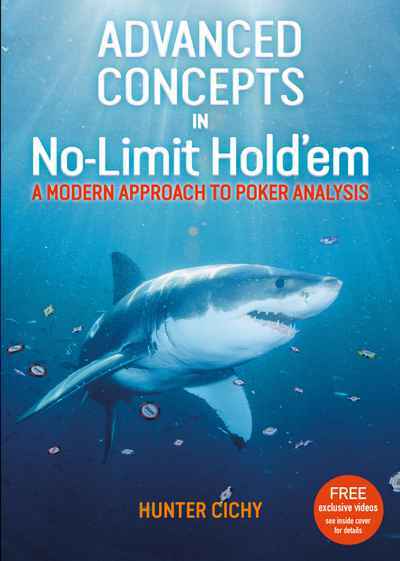 A careful study of the approach outlined in Advanced Concepts in No Limit Hold‘em will undoubtedly take your game to a higher level.